Audi prides itself in its capability to provide premium cars that consistently test better than its competitors in a variety of fields, but it also acknowledges that the landscape of the industry is quickly changing with new smarter competitors and new customer needs and desires. This brings a lot of opportunities and Audi is wasting no time on taking full advantage of them. Audi has set its goal for the future: to provide more sustainable, effective and elegant premium cars using every advantage the German brand has managed to obtain throughout its long years in the business. It is also investing heavily on digitalization, hoping to create a centralized platform equipped with artificial intelligence and self-learning systems capable of taking and handling customers' requests in a timely and efficient manner. The other point of focus of Audi has been the harmonization of car technology with the growing urbanization felt a bit everywhere in the world, in order to turn urban centers cleaner and less polluted Audi has invested in developing cars with zero emissions and other solutions like automated driving and parking that will contribute greatly to the improvement of safety and traffic flow in the streets. Interested in getting a second-hand Audi on finance? Check our offers starting from as little as 50 per month. Offered by Group 1 Automotive at the superb price of £28,890 is this second hand SUV with a low mileage of just 1000 miles. You can find us in the area at Group 1 Automotive to take a closer look at this motor and to see what manageable affordable monthly instalmentss we have on hand for you. This vehicle is currently available at the price of £28,890 or with evenly spread finance options starting off at only £666.50 per month. Just get in touch with our knowledgeable customer support dept. A 5 door SUV car designed by Audi that gives its driver with a higher standard of reliability and trustworthiness than an average car. It incorporates a [fuel] 1498cc engine, [transmission] transmission, 1000 miles on the dash and comes in [colour]. 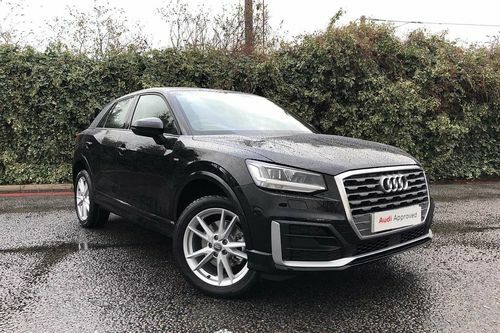 Chat to the expert personnel at Barons Group for more info This Audi Q2 is in a nearly new condition and comes fitted with a comprehensive array of added features, could this be the one for you? It's available for you to drive it away today at the low price of only £28,890 or you can also buy on finance; instalment plans begin at £666.50 per month. Currently available to buy is this second hand car at just £27,496. Barons Group also offers its customers the possibility to purchase with flexible monthly instalments to suit all budgets with instalment plans starting at only £634.34pm. So get in touch with Barons Group today and find out about this vehicle. On the market - Saloon in Black that has a Automatic gearbox and 4.0 ltr Petrol engine. Get down to Group 1 Automotive now to have a chat about this Audi. Are you interested in choosing a Audi S8 TFSI V8 QUATTRO 4DR SALOON? 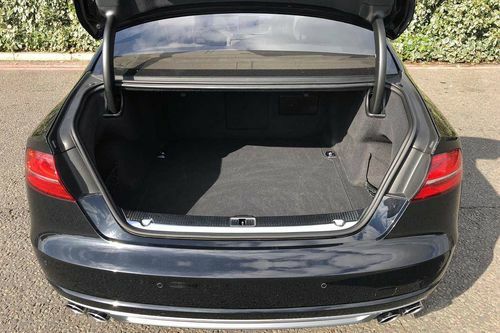 Consider this particular second hand one with low mileage incorporating a 4.0 litre Petrol engine, [transmission] transmission and hardly any miles clocked up on the dashboard. Additionally, for your peace of mind, this vehicle from our dealership has the bonus of coming with a full, documented service history. The helpful staff at Barons Group in London have the ability to assist in choosing which purchasing method is right for you. 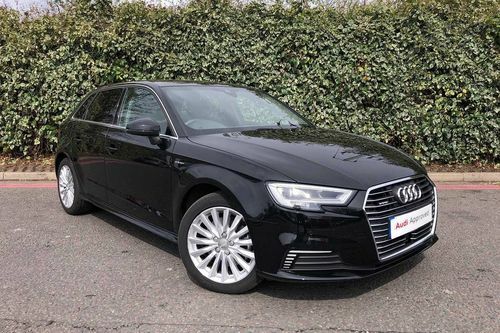 This S8 is up for sale and ready for you to drive away for the full price of £33,746 or alternatively you could also buy on finance with achievable payments starting from just £778.53 pm. Available for sale is this A1 in near mint condition with a low mileage of only 2000 miles. This near brand spanking new Audi A1 could be yours to enjoy in next to no time. 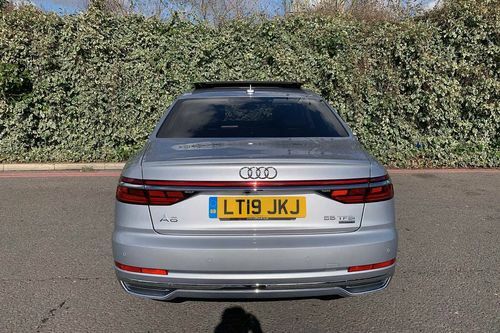 At only £53,946 is this Audi A8 containing a 3.0 LTR Petrol engine with Automatic transmission. This second hand one currently in stock at our dealership in London has a Silver finish and has 1000 mi on the dash. 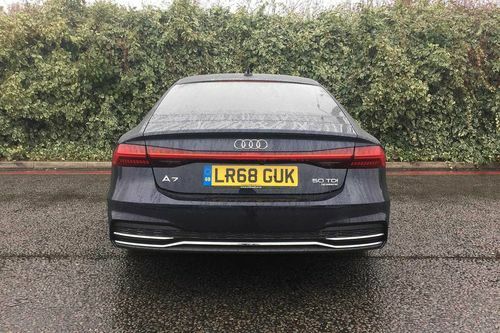 If this one might be the car you have been searching for, simply visit or call the qualified team at Group 1 Automotive in the London area for a chat about this Saloon. This vehicle has a low mileage of just 1000 miles on the clock and has been driven for under a year. Want to buy this Audi A8? Email Barons Group in the London area as soon as you can. Used A7 in near pristine condition inside and out is now on offer at £44,946. This car looks and drives like new, has got a 3000 CC Diesel engine with Automatic transmission and it has clocked up a mere 3100 miles. 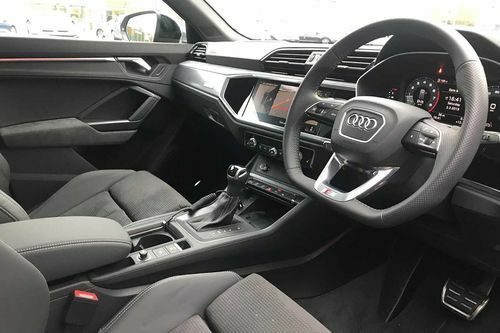 As you would expect of a high quality car manufactured by Audi, it comes included with a wide range of extra specifications, further enhancing your driving experience. At such an amazing price on this car, it isn't likely to be up for sale for long. Get it for just £44,946 or if you prefer you could choose to spread the cost, just get in touch with the friendly purchasing team to find out what finance methods this dealership has to offer. At £27,946, Barons Group currently has this second hand Audi A1 SPORTBACK TFSI S LINE 5DR HATCHBACK on offer which . Discover what instalment packages are on offer at this dealership and take this Audi home today. 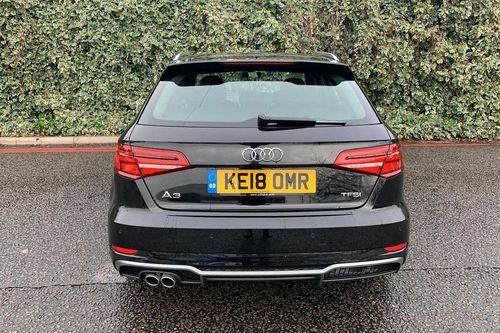 For the total price of just £44,946 is this highly popular, best selling A7 SPORTBACK TDI QUATTRO S LINE 5DR HATCHBACK featuring [transmission] transmission with a 3.0L Diesel motor. This second-hand low mileage one has a [colour] finish and only has 3100 miles on the clock. Call or visit the customer care dept at Barons Group to find out what more this car has to offer. This second hand car has only done 1000 miles and it's been driven for less than a year. Getting in touch with a member of the helpful finance department to discover what kind of affordable payment options are available, is the next step in becoming the new privileged owner of this Q3 TFSI S LINE VORSPRUNG 5DR SUV..
On display at our dealership in the London area is this Audi A3 SPORTBACK E-TRON 5DR HATCHBACK with a low mileage of only 5000 miles. Contact our dealership to find out more. A superb price of £32,946 for this highly sought after Audi that has just a few miles on the clock. Paying for this Audi doesn't have to break the bank, just get in contact with this dealership's professional team to find out what credit options could be best for your budget. Your monthly instalments could start off at £760.07 per month. 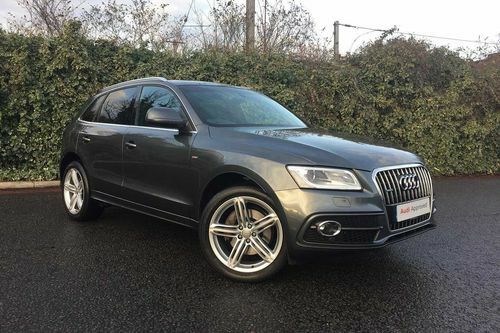 With a Audi Q3 TFSI S LINE VORSPRUNG 5DR SUV like this being advertised at such a marvellous price, and with achievable finance options available to suit you, purchasing this motor could be a phone call away. This dealership's friendly team is readily available to provide assistance in helping you to find out which affordable repayment options are most suitable for your budget. Contact Barons Group located in London to learn more. 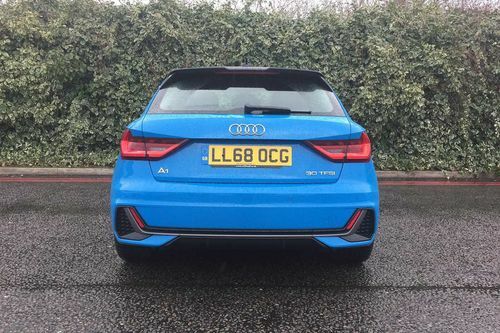 For the total of only £23,390 is this best selling Hatchback offering a 1.5 ltr Petrol engine, Manual transmission with hardly any miles clocked up on the dash. Pre-owned, second hand vehicle but, wonderfully maintained and is still in nearly new condition. Is this used car the one you want, or would you like to find out more? Visit or call Barons Group in London today. Showing 1-18 of 29,806 items.